Even though dogs are more common to have houses, it’s cats that benefit more from having hideaways of their own. 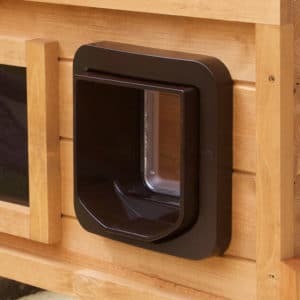 Our Microchip Outdoor Houses can be programmed up to as many as 30 different pet identities, or as few as one. Giving you and your feline friend the option to keep unwanted guests out. 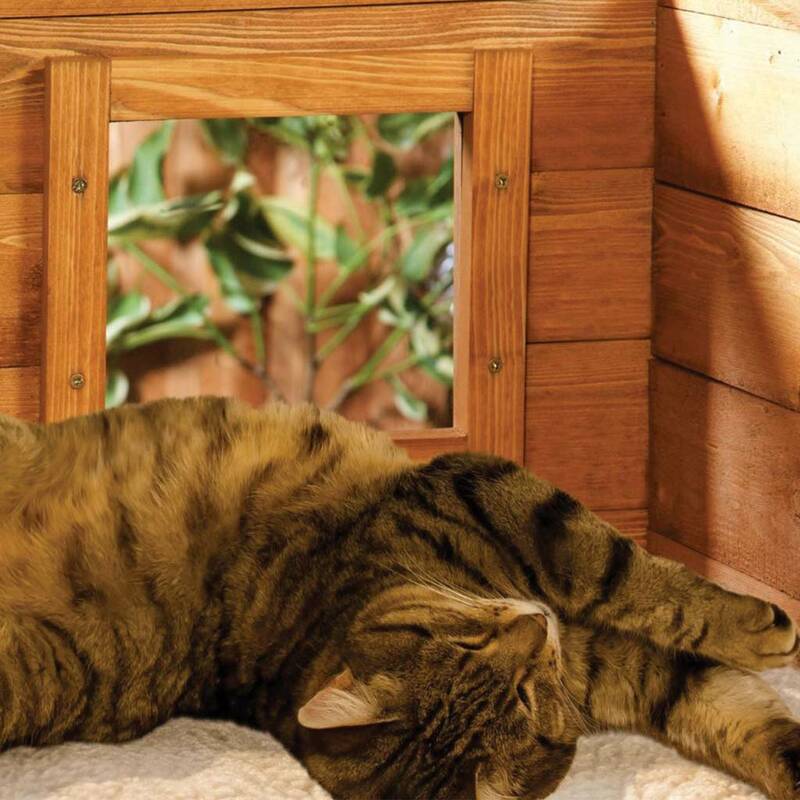 The built-in insulation in the floor and roof means your cat can use their new home whatever the weather. Will my Cat’s Chip work with this door? Click here to check. What is the Purpose of the Cat House? 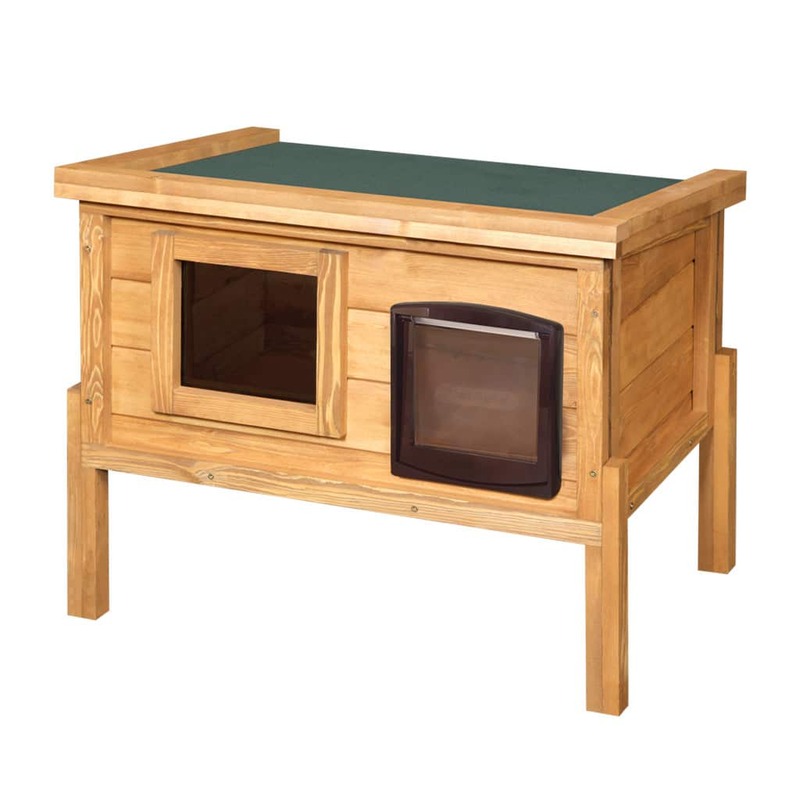 Our Outdoors Cat Homes are designed to provide your cat with a warm, safe and secure shelter. 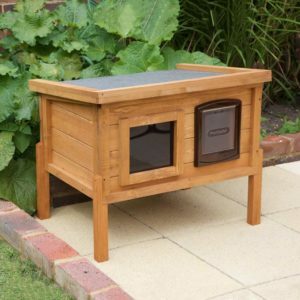 Placed around your house or in the garden the cat houses become a fantastic base for your cat to go back and forth during the day’s adventures and discoveries. Your Cat will soon love it’s new outdoor home and to help ease the transitioning we’ve included a free Japanese Matatabi Catnip Stick. We know cats love to watch over there territory, so we fitted a sizeable one-way window so that they can survey their kingdom. This way they can still be on “look-out” no matter the weather. 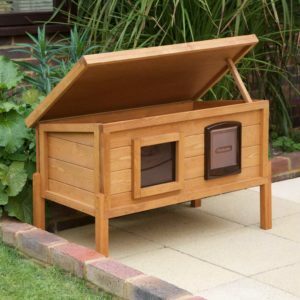 What Makes Our Outdoor Cat Shelter Different? 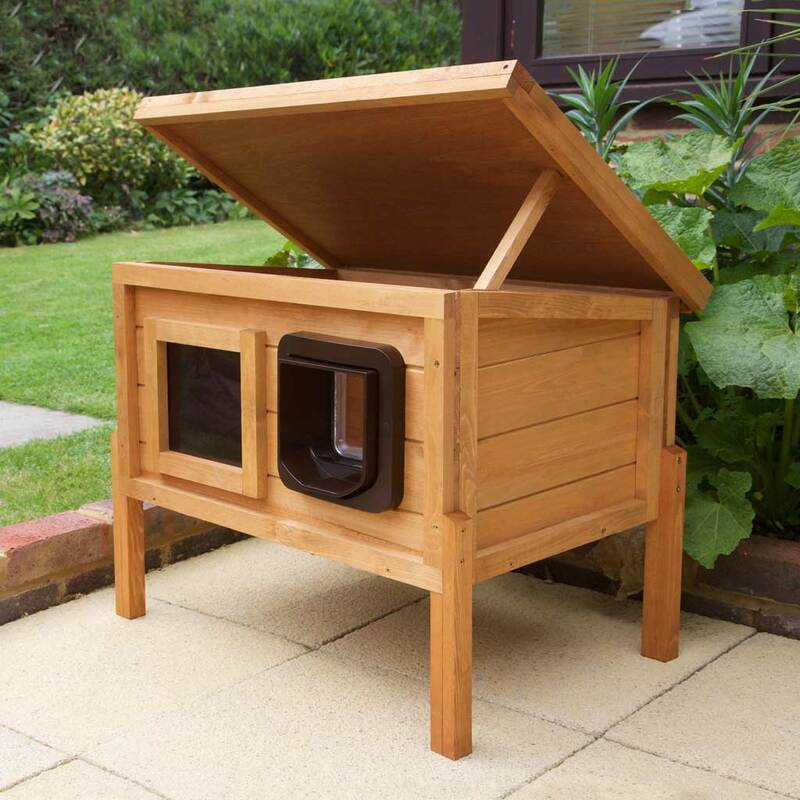 We love to hear stories from our customers telling us how happy their cats are with their new outdoor houses. Our customers like the fact that there is no assembly needed and that within a couple of minutes from delivery, have their new home up and ready. You’ll also be surprised how fast your cat will take to its new home. 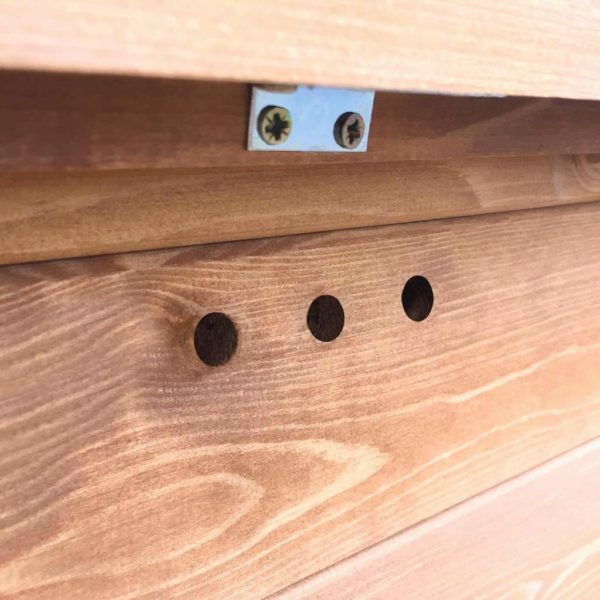 Our Cat Houses are designed and manufactured right here in the UK using FSC timber. Unlike other shelters that have been planned by faceless corporations and put together by a factory in the Far East we understand pets, because we’re animal lovers. Our Outdoor Cat House is like no other on the market, made to stand up against the worst the weather can throw at it. Constructed of thick 10mm Tounge and Grove timber with a fully insulated roof and floor using AIRTECH© 1500 Insulation that keeps warm in the winter and cool in the summer. Our proven Cat Houses have provided a second home for cared for house cats and a sanctuary for stray cats all over Europe. 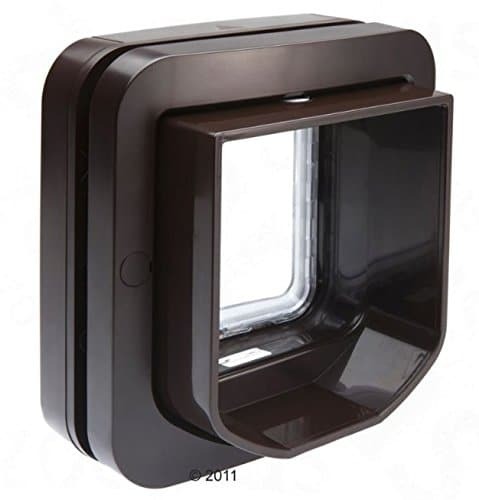 A cat flap fitted to the entrance means easy entry for the fury owner and ensure rain and wind stay out. The one way darkened lookout window is an especially loved feature, perfect for laying in complete comfort with an excellent view over his or her territory. 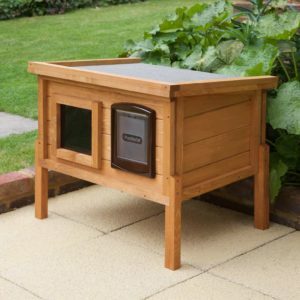 Where Can Your New Outdoor Cat House Be used? Our customers tell us that watching their feline friends make their way inside for the first time was their favourite part. 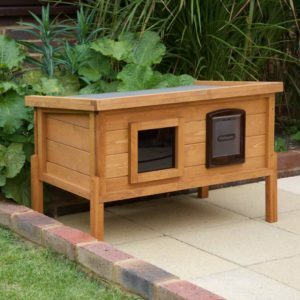 Your Outdoor Cat House can go anywhere, although picking the right place is essential. We’d advise you to place it in an area that you know is safe from traffic and excessive noise (your cat will love to take some naps inside). You don’t have to just use the cat house at home, we’ve had customers use theirs at offices, warehouses and even as a permanent fixture in the back of a van. Cats love consistency too, their more likely to enjoy there home quicker once they know it’s not going anywhere, so pick a spot you know won’t get in the way. Although the legs that come with the Cat House are optional, we’d recommend installing them from the start. Not only do they lift the cat shelter up off the ground protecting the housing unit from rising damp, but they also provide a better viewing position for your cat to look out through the one-way window. Cleaning your new cat house couldn’t be more straightforward when you know the owner is not in just lift the hinged roof up for access. You can change food, water or give their favourite blanket a pat-down ready for their return!